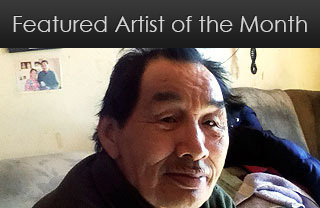 John is a widely recognized Inuit carver from northern Labrador. John was born in Happy Valley-Goose Bay, the final home of his well-known Inuit grandmother, Elizabeth Goudie (who wrote her memoire "Woman of Labrador"). As a youth and like so many others, he began carving in wood. In his 20s, John left Goose Bay for Nain, to rediscover his Inuit language, culture and heritage. Over the next four decades, he honed his skills and interests as an artist, trying his hand at many things including: drawing, hide clothing, clay, jewelry of silver, gold and labradorite. 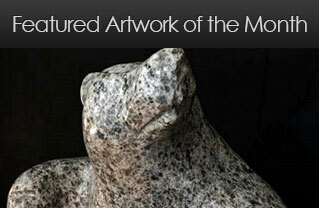 Despite these experimental pursuits, he has kept coming back to his mainstay, stone carving. Forty years later, John continues providing for himself and his extended family with his carving. 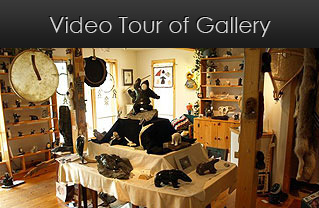 As a creative and prolific carver of stone and bone, he brings to life the place, the people and the animals of his northern home. His travels have taken him as far afield as Italy and his works are found in galleries, homes and museums the world over. 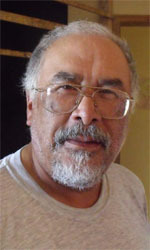 For many years, John has represented Labrador-Nunatsiavut people and place on the national board of the Inuit Art Foundation.